Metal pen with big crystal. Comfortable to hold, easy and smooth handwriting. Unique style. Twist action. Slim body. You can carry it in your pocket or handbags. 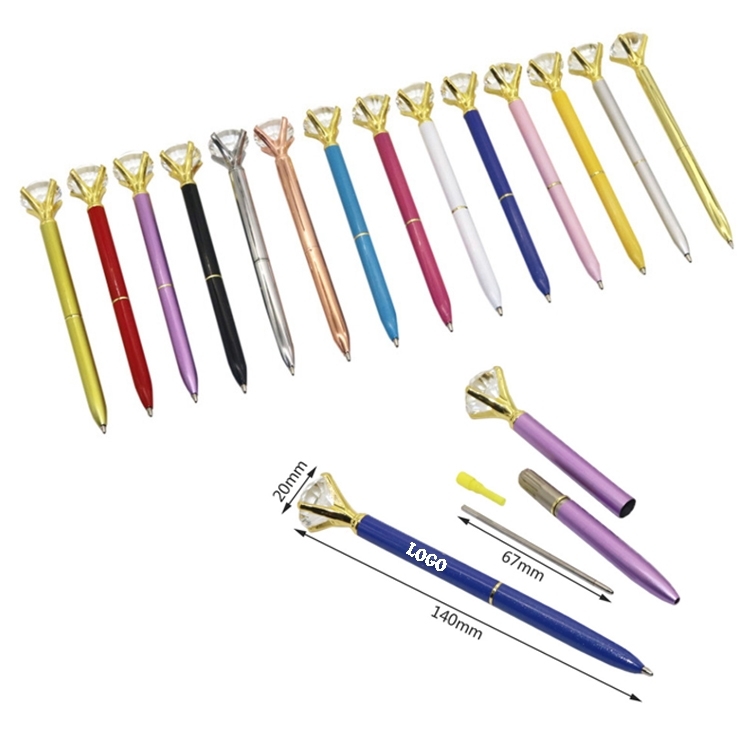 This diamond pen is the perfect promotional item for weddings, women's groups, holiday gifts, and much more! Custom logo can be printed. Package: 1 pc/opp bag, 500 pcs/ctn, 27 lbs/ctn. Imprint Size: 1 1/4" x 1/4"